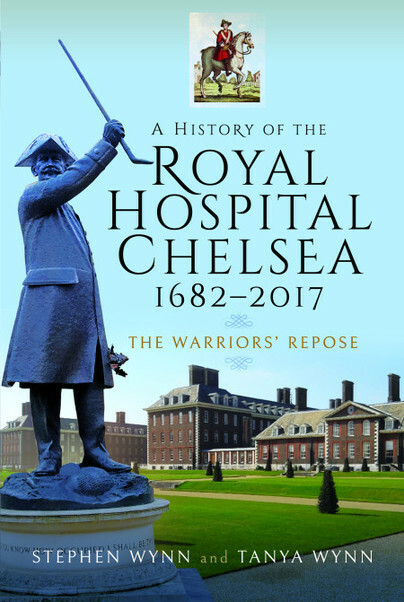 You'll be £20.00 closer to your next £10.00 credit when you purchase A History of the Royal Hospital Chelsea 1682–2017. What's this? Order within the next 31 minutes to get your order processed the next working day! A History of the Royal Hospital Chelsea looks at the hospital's beginnings, with its Royal patronage and heritage which dates back to King Charles ll in 1682. It then goes on to look at some of the characters who have been In Pensioners at the hospital over the centuries, as well as some of the individuals who have been buried in the Hospital's grounds. This includes the ashes of the ex British Prime Minister, Baroness Margaret Thatcher and her husband, Sir Dennis Thatcher. The book is written in an easy style, and is full of facts, anecdotes and interesting historical information... The book gives a flavour of the rich and varied history of the Hospital, against a background of the rich and varied history of the United Kingdom, with residents who served in a wide variety of Regiments and a vast array of battles from the American Civil War to Malplaquet, Waterloo, the Crimea, both World Wars and other conflicts of its long and cherished history. It may appeal to readers of all persuasions with an interest in British military history, while military historians with a similar interest may also find it worthy of their attention. Health and social historians and researchers may also find it worthy of perusal. Stephen and Tanya Wynn are a husband and wife team. They have been married for twelve years and outside of writing enjoy the simplicities of life. They spend most mornings walking their four German Shepherd dogs at a time when most normal people are still sound asleep. Animals in the Great War is the third book Stephen and Tanya Wynn have written together, having previously collaborated on Women in the Great War and A History of the Royal Hospital Chelsea 1682-2017. Stephen has written numerous titles in the military history genre over the years. His first book, Two Sons in a Warzone, was published in 2010. It is the true story of his sons first tours in Afghanistan. One of them was injured and the other was shot and wounded.